I haven’t paid much attention to the price of gas in a long time. I stopped driving and started walking a decade ago and while we kept our trusty old truck during that time, when prices were at their highest 6 or 7 years ago, we had it parked and off the road. We deliberately took it off the road for a couple of years and started walking everywhere. At that time, we’d walk to the grocery store which also sold gas, and be glad that we weren’t driving. Since then, I simply haven’t noticed. Yesterday we were walking around and passed the gas station at the edge of town. 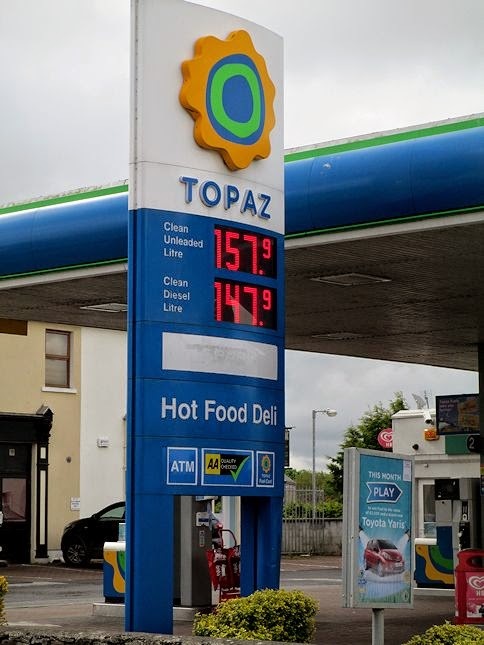 For some reason, I noticed the sign that announced the price of gas at 1.57.9 euro per litre. I did a rough calculation in my head of 4ish litres to a gallon, so around 6ish euro per gallon. It was only later that it dawned on me that, when converted to US dollars, the price worked out to slightly less than $9 per gallon. I did laundry this morning and hung it outside on the line. The wind is whistling and the skies are darkening--I am watching for raindrops so I can run out and grab it if I have to. I can let it finish drying on the rack indoors, but at least it got outside for a while anyway--I love the smell of the fresh air in the clean clothes! There are fields enclosed by stone walls and containing grazing sheep all over the place around here. What is not found all over the place here is yarn made from the wool of those sheep. And I have found that yarn is called “wool” here, no matter the fibre content. This is an unimportant factoid, but it irks me just the same! The funny thing is that I never think of sheep as a potential food source, which is, I suppose, what these sheep are. I seem to remember that my mother used to make lamb burgers when I was a kid, but as I recall, they came in a package already formed into patties and had chopped parsley sprinkled on top. She may have made leg of lamb or lamb roasts once in a while, but I simply don’t remember. Bill hates lamb and the smell of lamb, so it was never anything that I bought or prepared until we agreed to try some ground lamb from the farm where we were part of the CSA in Maine. I am sure I cooked it badly, but neither of us cared for it, so we agreed not to get it again. Lamb’s a big thing here and there are even packaged lamb-based meals to buy in the grocery stores. 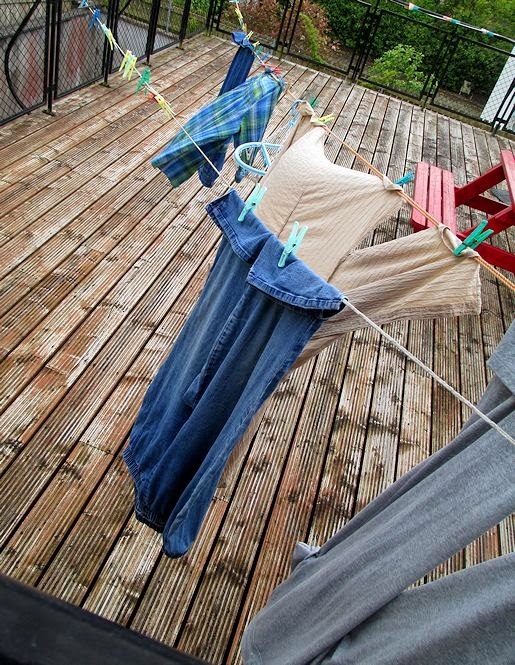 The sprinkles started, so I rushed out and brought in the laundry. Now it’s getting brighter. Sigh. I have to learn how to read the sky so I know when there will be sprinkles and when there will be a downpour. Oh well, it’s still my kind of day--windy, grey, and pretty chilly for the end of May! We have been in Ireland for 7 weeks today and in our apartment for 6. Getting darker again--the greens and other colors outside are so vivid!